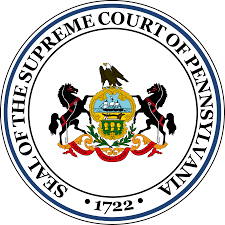 On Tuesday, Pennsylvania Supreme Court Justice Sallie Mundy (R) defeated Common Pleas Court judge Dwayne Woodruff (D), to win a full 10-year term. Justice Mundy significantly outspent Judge Woodruff in the race, spending over $800,000 on TV ads, compared with just over $20,000 on ads by Woodruff. While most ads aired by Mundy and Woodruff were positive in tone, days before the election, Mundy launched an expensive attack ad campaign against Woodruff. Despite the spending differential and attack ads against Woodruff, the race was close: Mundy won with 52.3% of the vote, while Woodruff received 47.7% of the vote. Democrats retain a 5-2 majority on the Pennsylvania Supreme Court. In 2015 Democrats had won all three PA supreme court seats up for election, in a much costlier $21.4 million contest that set an all-time national spending record, and shifted the partisan balance of the court. Justice Debra Todd and Chief Justice Thomas Saylor also easily won their retention elections, giving them each another 10-year term on the court. On Tuesday, 64 percent of Texas voters approved a constitutional amendment passed by both chambers of the legislature. The amendment allows the legislature to “require a court to provide notice to the attorney general of a challenge to the constitutionality of a state statute,” and authorizes the legislature to require courts, after notifying the attorney general’s office of the challenge, to wait up to 45 days to strike down the law as unconstitutional. According to the Austin Statesman, proponents of the amendment pushed it after the Texas’ Court of Criminal Appeals found in 2014 that a statute instating the 45-day notification requirement was an unconstitutional violation of separation of powers. Texas’ House Research Organization laid out the arguments on both sides of the amendment. Opponents argued that “[t]he Legislature should not be empowered to establish procedures that could delay relief for those challenging a law as unconstitutional. Texans should be able to pursue and receive relief from unconstitutional laws without courts being subject to a waiting period to make a ruling.” Supporters said the amendment merely gives the state “an opportunity to defend Texas laws,” by giving the state attorney general time to weigh in on constitutional challenges. The American Bar Association’s Standing Committee on the Federal Judiciary recently rated two of Trump’s judicial nominees “not qualified” for appointment to the federal bench. Since 1953, at the request of President Dwight Eisenhower, the ABA has provided evaluations of federal judicial nominees, rating nominees “well qualified,” “qualified,” or “not qualified.” This month, the panel unanimously found Brett Talley, Trump’s nominee to the U.S. District Court for the Middle District of Alabama, and Leonard Steven Grasz, Trump’s nominee for the U.S. Court of Appeals for the Eighth Circuit, not qualified for those positions. 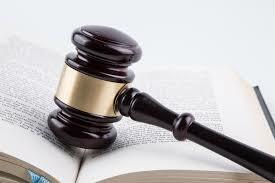 Since 1989, only two other judicial nominees have received unanimous “not qualified” ratings. Those nominees were not ultimately confirmed.